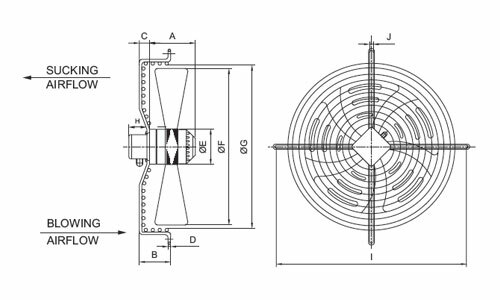 Large Axial Fans (all metal) also known as External Rotor Motor Fans are extensively used in Ventilation, Clean Room Technology, Refrigeration, Heat Exchangers, Welding Equipment, Condensing Units, Cold Rooms etc. 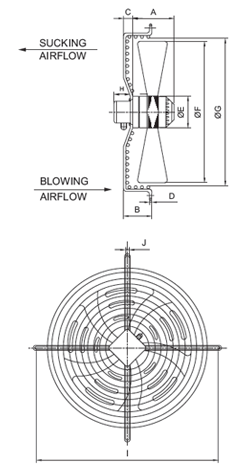 These external rotor motor fans use minimal space and are hence used in conditions with space restrictions. 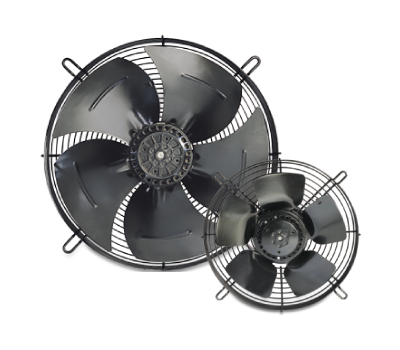 Hicool Large Axial Fans are marked with exceptional performance under harsh temperature and pressure conditions. Having a working range of -40 degree centigrade to + 60 degree centigrade these fans operate in extensive temperature ranges. These motors are energy effecient and the impellers designed keeping in mind an aerofoil, to reduce noise. These advantages make Hicool Large Axial Fans eminent.